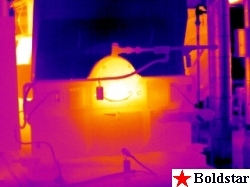 Mechanical applications for infrared thermography are almost endless. Any thermal difference can be seen. 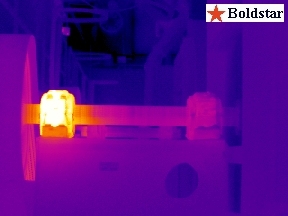 Infrared inspections have been proven to be a very effect tool in identifying lubrication and mis-alignment problems on rotating equipment, missing or damaged refractory in kilns and ovens, and missing or damaged insulation. 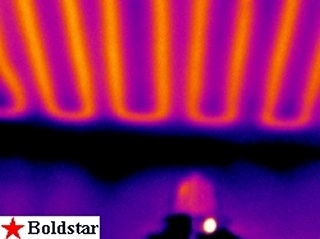 Infrared image reveals a heating problem with the left bearing. See steam/ water temperature separation across trap. 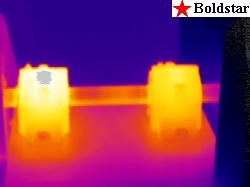 Infrared image shows thermal heat stresses on bearing. 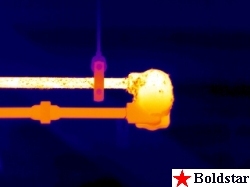 Heating of pump drive shaft bearing, white area. overheating of left bearing, wear or lubrication problems suspected.